Check out the photos and the video from our friends at Switched on London. This morning we joined people from across London in bringing Mayor’s Question Time to a standstill, to demand that Sadiq Khan keep his election promises. Join our action online now (or see below). Along with Switched on London, Divest London and the Greater London Pensioners’ Association we took over the chamber at City Hall and filled it with hundreds of paper planes containing messages for the Mayor. Over a year in office and he’s broken both. So we decided it was time for action. London’s energy system is broken, making huge profits for the Big Six at the expense of ordinary people and the climate. Our bills are too high, leaving over a million Londoners unable to heat their homes. Our city is a carbon capital, financing drilling for oil and gas, and is responsible for devastating global climate impacts. Sadiq Khan can act to fix our broken energy system and make London the climate leader it should be. 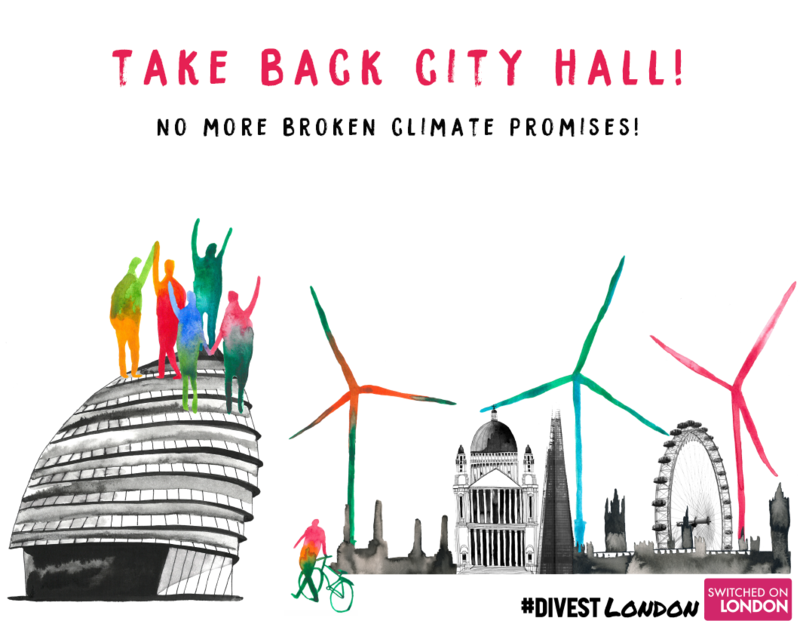 Join us in calling for Sadiq Khan to keep his climate promises. The Mayor’s environment consultation is open for just one more day – take two minutes and email him now. You can do this through the tool on the Switched on London website, or by the form below. We need to change how our energy is produced and who controls it. Join us in demanding energy democracy. Previous PostPrevious Tell Ofgem: We want a universal cap!